Padraig Feiritear was born 8 March 1856 to Maurice Ferriter and his wife, Nell Mhichil Mhainnnin at An Baile Uachtarach near Bally Ferriter. He was the fourth of nine children. His father, Maurice was a successful carter and farmer, a tenant of the Ventry family. Educated by the Nation School System of the era, he also studied Latin and Irish. Mostly self-educated in Irish, he displayed an Academic knowledge of the Language. He devised his own system of writing Irish. As a young man, Padraig began replicating (copying by hand) Irish manuscripts made available to him by local families. He also interviewed local families and wrote down their stories, the folklore, and family histories. He copied all kinds of documents that were on loan to him. Some were poems and songs. Others were resolutions against priests. The family histories of the people who were his neighbors was recorded in a shopkeepers notebook right along with the lists of customers and groceries. He also gathered and recorded local oral histories of his extend Ferriter Family. He transcribed the baptismal and marriage records of the local Catholic Church for the Ferriter family and coalesced this information providing a genealogical record. This record is referred to today by the descendants of the Ferriter family for genealogic information. Many of the original documents disappeared due to a variety of causes. Padraig's meticulousness in copying these records and writings saved this information for future generaations. Padraig left Ireland and lived in Boston for a number of years where he continued his practice of copying and recording Irish documents and stories. He visited the Boston Athenaeum and transcribed the Irish writings he found there. In 1903, he moved to New York City where he became a regular contributor to the bilingual journal, An Gaodhal. He was also one of the editors of the Irish language column of The Gaelic American. He became ill sometime in 1922 and soon afterwards went to live in Chicago to be near relatives. He died on July 23, 1924 in Chicago, Illinois. He is buried in Mt. Carmel Cemetery in Chicago. He bequeathed his entire collection to Douglas Hyde for the Library of the National University of Ireland in Dublin. In 1924, this collection was transferred to UCD, the University College of Dublin, which has an active Gaelic and Irish Language program of study. The list of the items in this collection can be seen online by searching for 'Sources: A National Library of Ireland Database for Irish Research'. Then, on that website, select University College Dublin Library. Then select Patrick Ferriter. You will then be able to browse the colllection as it has been assembled at UCD. There are more than 39 manuscripts. Some are collections of poems, songs, folklore, and stories from Ireland and America. Some are more legalistic such as copies of resolutions against priests in ireland. Manuscript # 16 holds special attraction to the people who descend from 19th centurty Chorcha Duibhne residents --as it contains family stories, legends, and factual information. This entire collection is available for review but not for photocopying (yet) only for teachers and scholars through appointment. Students must have a letter of recommendation from their supervisor per the UCD Library's statement regarding this Special Collection. There are those who have studied these manuscripts and who have done sholarly work based on the material contained in them. Much is still to be done however. Padraig Ferriter's remains lie in an unmarked grave. He was listed simply as a 'proof-reader/ printer' on the death index for Chicago. He has no Wikipedia page. Whatever we can do to enhance how he is remembered will become part of our own legacy. The above submission is a compilation of entries by George Ferriter, Michele Farritor McMurray, and Margaret Ferriter Campbell, as edited by Margaret Ferriter Campbell. 1) "Patrick Ferriter Manuscript Collection." Web. <www.ucd.ie/library/finding_information/special/archival/ferriter> N.p., n.d. Web. 31 Jan 2012. 2) Sources: National Library of Ireland. <http://sources.nli.ie/Search/Results?lookfor=&type=AllFields&filter=ms_repository:"Dublin: University College Dublin Library"&src=map&filter=personsStr:"Ferriter, Patrick">. 3) The Gaelic Revival in the U.S. in the Nineteenth Century1998. 1998. Web. <www.ucc.ie/chroncon/nigh2fra.htm>. 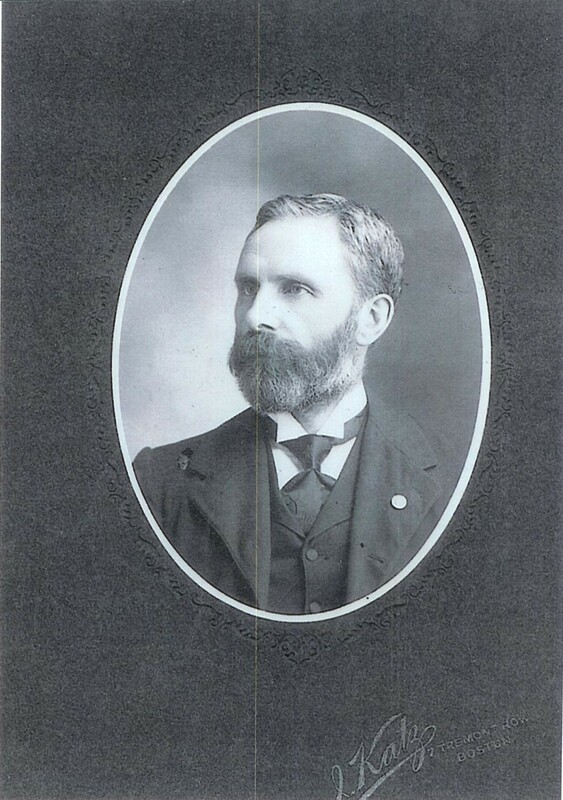 4) "Padraig Feirtear (1856-1924): a shaol agus shaothar (Séan Ó Sé). Web. <http://www.docstoc.com/docs/58714576/Index-To-Kerry-Archaeological-an>.